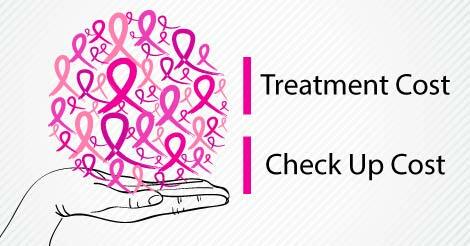 Breast cancer is one of the biggest killer diseases in women. As per a WHO report, 65 % cases in India are diagnosed only when they reach stage III or IV -an advanced stage of the disease. Cancer stages are usually expressed as a number on a scale of 0 through IV, stage 0 being the starting, non-invasive types that remain within their original location and stage IV being the invasive ones that spread outside the breast to other parts of the body. Have a look at the comparison of modalities of treatment, survival rate & cost of treatment in various stages of breast cancer. A simple, regular preventive health checkup can save a person from all the trauma, physical pain, mental agony and huge financial setback; and that too at a very low cost. Experts believe that at Stage 1, breast cancer is definitely curable and at Stage 2, it is highly manageable. However due to poor utilization and lack of awareness of preventive healthcare, most patients do not undergo relevant tests regularly, till the symptoms began to appear prominently and they reach stage 3 or 4, a difficult phase to treat. Along with screening for breast cancer, get yourself checked for other abnormalities as well; go for comprehensive checkups available at Indus Health Plus, the Preventive Healthcare Specialist at most reasonable prices, reliable reports & excellent customer care. *Cost in the table is only indicative and can vary from hospital to hospital. Stay active, make healthy food choices and being proactive towards body, is way to adapt a healthy living. Be pro-active towards body by getting yourself health checks at a regular interval. As it is said "Preventive measure is better than curative measures". Know broad overview of your health status by the comprehensive health checkup packages provided by Indus Health Plus, a preventive health check up specialist. 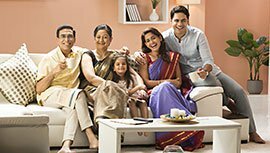 To know more about us, health check up details, packages, share a thought, tips for healthy living, query and suggestion fill the form and we will get back at you at earliest. Healthy body and mind, breeds a happy life.